Whitney loves baking, grilling, smoking and cooking just about anything anyway. My father has started deep frying our Thanksgiving Turkey the past several years. He started when he went camping with his brother, who had been frying turkey for a year. When they were camping my uncle fried a turkey for dinner, one night. My father was hooked. From then on, Thanksgiving is no longer a baked turkey, but a fried one. When you fry turkey you need to take a few precautions, as if you're not careful, it can and will catch on fire. It is the number one fire hazard during the Thanksgiving season. A food thermometer to determine doneness of the turkey. For added safety, you may want to have a fire extinguisher, oven mitts, and pot holders nearby. To add flavor to the turkey, you may want to have different marinades and seasonings. If you choose to add different flavors, you may want to purchase an injector. What kind of oil should you use to deep fry a turkey? You should only use oils that have high smoke points such as peanut, refined canola, corn oil and sunflower. Canola oil is low in saturated fats and would be appropriate to combine with peanut oil if fat and cholesterol are a concern. Place the fryer on level dirt or a grassy area. Avoid frying on wood decks, which could catch fire, and concrete, which can be stained by the oil. Try to put the fryer on concrete in an open area. Size does matter, as a 12 to 14 pound turkey is the maximum size bird that can be successfully deep fried, but smaller turkeys that are 8 to 10 pounds and individual turkey parts are better used for frying. In addition to the obvious safety concern of lowering and lifting a larger turkey into a container of boiling oil, larger turkeys cook longer, which means that the extra time can result in over exposure to the skin, potentially causing the turkey to be over cooked. If you want to cook a larger bird (over 15-pounds), follow these steps for the best results. Detach the dark meat from the breast and fry the two turkey parts separately. Remove the dark sections and reheat the oil to 365-375 degrees. Then fry the turkey breast. Note: The internal temperature of the turkey should reach at least 165 degrees, but preferable 170 degrees in the breast and 180 degrees in the thigh. 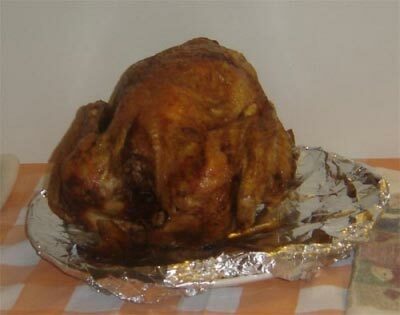 To determine the correct amount of oil, place the turkey in the fryer basket and place it in the pot. The minimum oil level should be 3-5 inches from the top of the fryer, so to make sure that you have the right amount, you want to add water until it reaches 1-2 inches above the turkey. When you remove the turkey, make note of the water level. Drain, or pour out the water and dry the pot thoroughly. If the fryer has a drain valve, be sure there isn't any excess water in the spigot. Be sure to measure for oil before marinating the turkey. 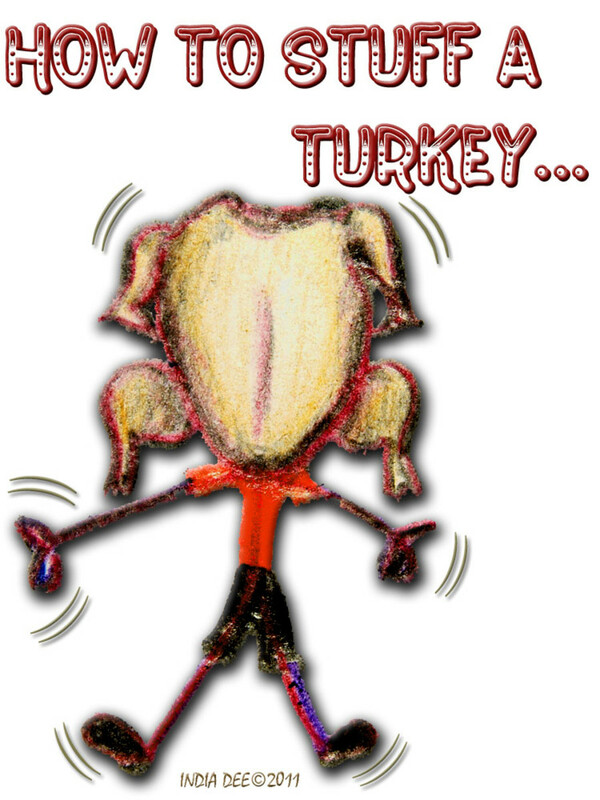 Thaw out the turkey completely, and remove the neck and giblets from the two body cavities. Heat the oil to 365 - 375 degrees. Depending on the amount of oil you used, it usually takes between 45 minutes to 1 hour. While the oil is heating, prepare the turkey. 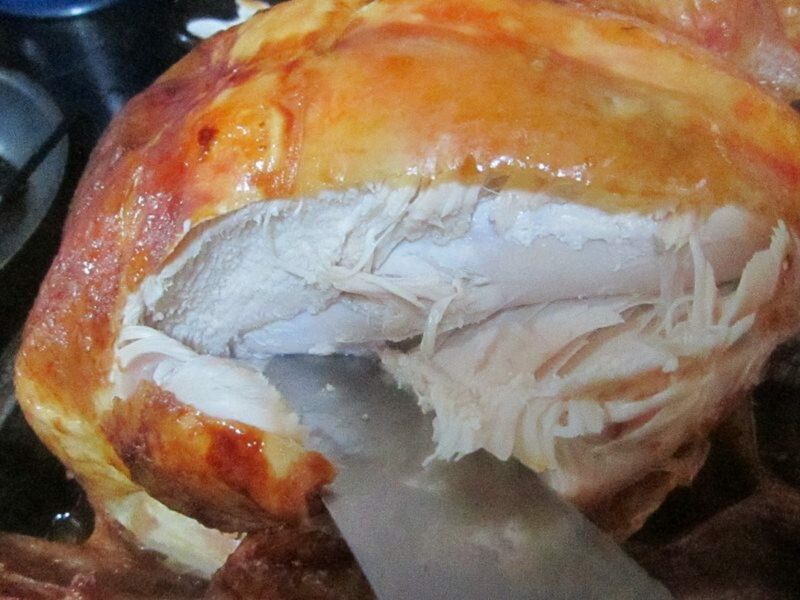 If you're injecting a marinade into the turkey, puree ingredients so that they will pass through the needle. Make sure that when you're injecting the turkey to get the marinade well into the turkey and not just under the skin. For whole turkeys, inject 60% of the marinade deep into the breast muscles, 30% into the leg and thigh muscles, and 10% into the meaty wing. 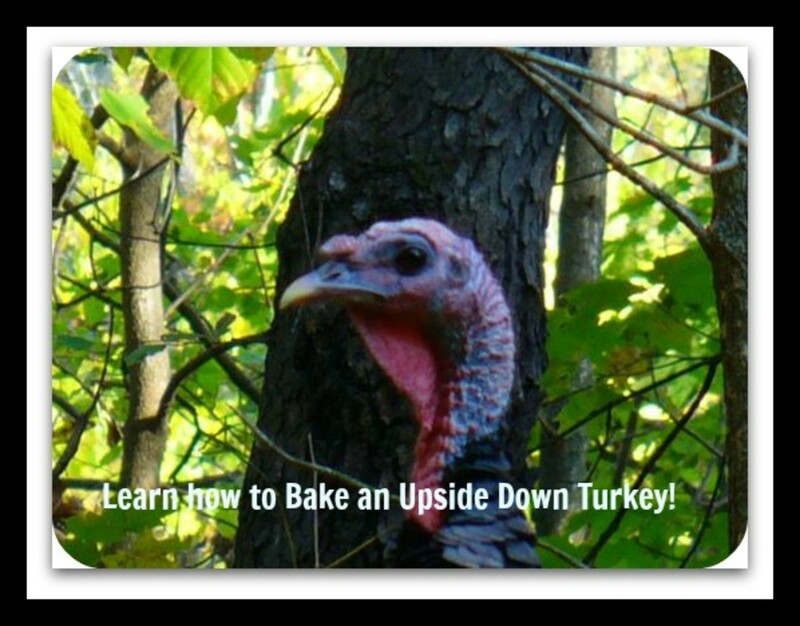 Remove any excess fat around the neck to allow the oil to flow through the turkey. If you're able to, remove the wire or plastic truss that holds the legs in place. Cut off the wing tips up to the first joint and cut off the tail. If you're able to, remove the pop-up timer from the breast. Once the oil has reached the appropriate temperature, place the turkey into the basket, turn off the burner, and very slowly lower it into the pot. As soon as the turkey is safely in the oil, turn on the burner immediately, as you can reduces safety hazards when lowering the turkey. 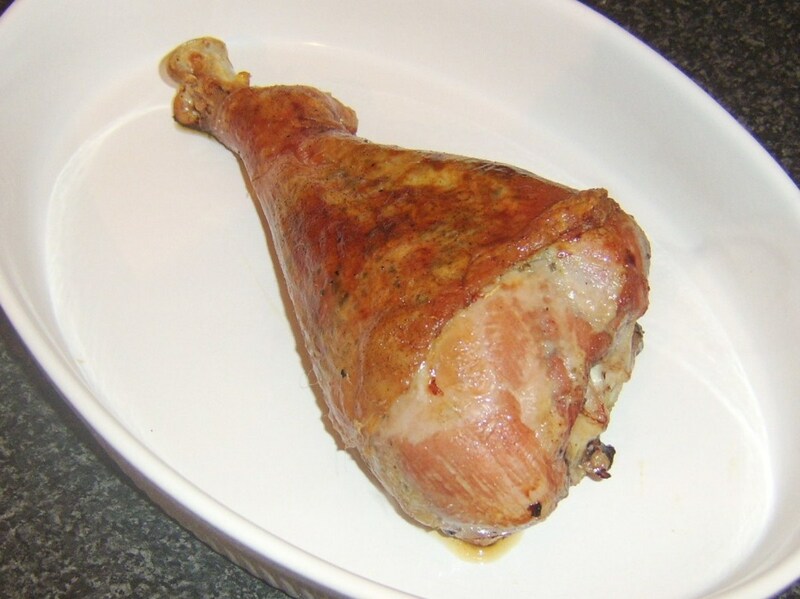 When cooking a whole turkey, it requires about 3-4 minutes per pound to thoroughly cook at 350 degrees. 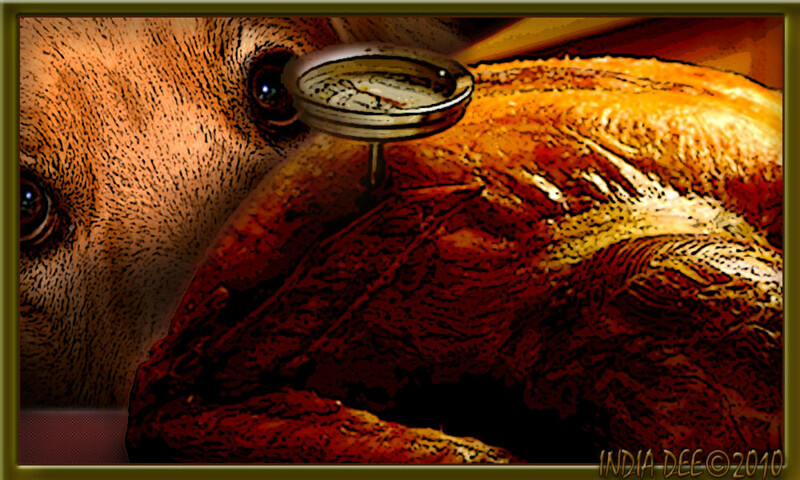 Remove the turkey and check the internal temperature with the meat thermometer. The temperature should be at least 165 degrees, but preferable 170 degrees in the breast, and 180 degrees in the thigh. If you're frying just turkey parts, such as breast, wings and thighs, it will take about 4-5 minutes per pound to reach the proper temperature. Never leave hot oil unattended, and don't allow children or pets near the cooking area. Allow the oil to cool completely before disposing or storing it. Immediately wash your hands, utensils, equipment and surfaces that have come in contact with raw turkey to prevent salmanella. Turkey should be consumed immediately and leftovers stored in the refrigerator within two hours of cooking to prevent it from spoiling. Super good hub! I have long been very afraid of the frying turkey thing, but you make it seem like a doable task. A linking I will go! Up And awesome Whitney05. good info. thanks for adding the "don't stuff the turkey before frying" thing. from my experience with turkey's I would have done just that! :) I'm turkey challenged. Great hub. I'll pass it on to my neighbor. She tried to deep fry a turkey for a big christmas potluck 2 years ago. Had everything ready and all set up, people had arrived and were chittin' and chattin, and she was ready to pop the turkey in and deep fry it for 40 to 60 minutes. Only problem, no one told her that she had to have the oil up to temp before she popped in the bird! What a fiasco. She swore, &quot;Never again!&quot; but maybe this piece will help get past the trauma. Thanks!